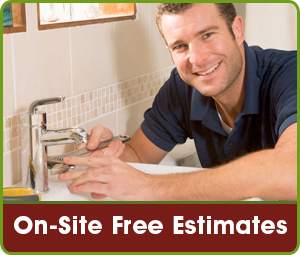 At LUDLOW PLUMBING COMPANY, We employ only the best plumbers for all of our services, from gas boiler installation to bathroom plumbing and drainage. We also offer boiler breakdown cover so that should anything go wrong with your boiler in the future, you won�t pay a penny. Our expertise is second to none, and we pride ourselves on our customer service, meaning that when you call us for boiler repair, we�ll do our very best to get your central heating boiler up and running in the shortest time possible, at prices that won�t cost the earth. Where you are or what you need, we are only a phone call away. We understand the trauma that a broken boiler or plumbing leak can cause in your household no matter what time of year it is; no hot water for showers or washing up, and in winter, no heating to keep you warm. Our customers always recommend our services to their friends because we are honest, fair and reasonably-priced, and will never carry out work that doesn�t need doing. Whether you be a residential or business customer and whatever your needs; boiler repair, installation or boiler service, call us today for a fast, friendly, reliable and value-for-money service.